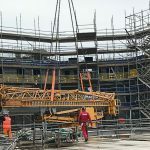 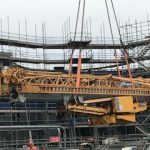 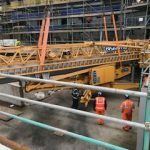 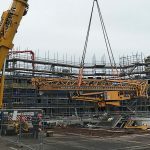 We completed a Self Erecting Tower Crane Site Move in Edinburgh for a client recently and our Sales Team were present to capture a few pictures. 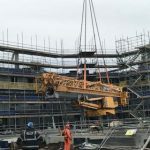 The project is a residential development and the Self Erecting Tower Crane is a Potain HDT80. 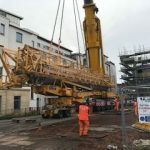 It went on site earlier this year for our client.